Effective, fast, delicate. Doesn’t leave a greasy film. Doesn’t irritate eyes. Doesn’t leave skin feeling tight. Natural oils thoroughly cleanse your skin of impurities, excess sebum and make-up without affecting its natural pH. 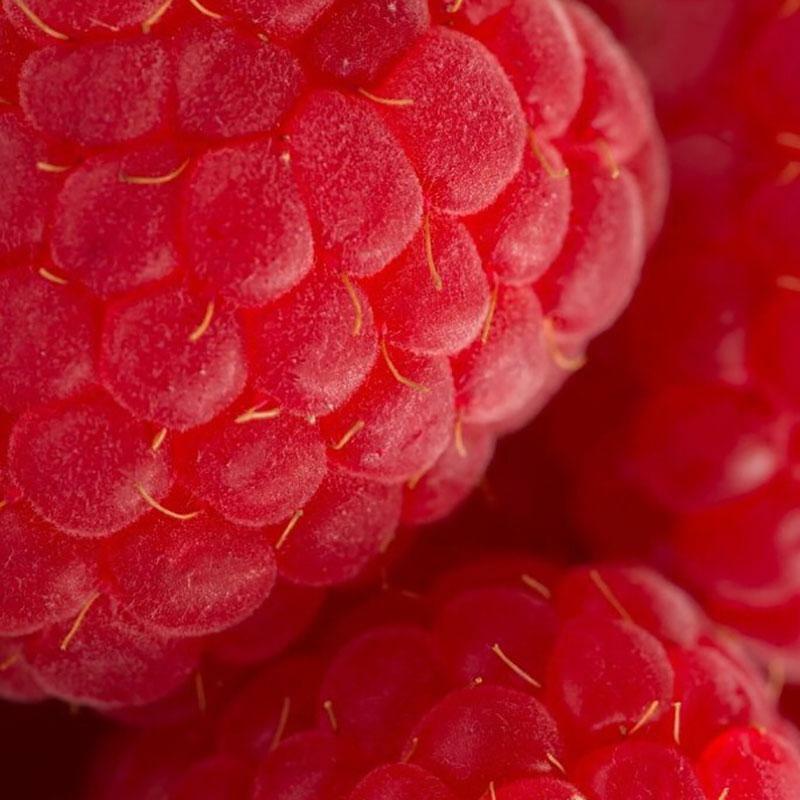 Raspberry seed oil moisturizes and soothes your skin. Sweet almond, apricot kernel and Abyssinian oils and vitamin E nourish, smoothen and make it look glowing. Make-up remover oil: massage onto dry skin of your face and eyelids to remove make-up. Rinse off with warm water to remove all impurities. Result: Perfectly clean, relaxed and fresh skin. Cleansing facial oil: massage onto moist skin of your face and rinse off with warm water. Result: moisturized, radiant, fresh, smooth and glowing skin. Dermatologically and ophthalmologically tested. For all skin types, including sensitive, prone to irritation and atopic skin. Non-comedogenic. You will feel a nice and delicate raspberry scent during application. for everyday skin care in all situations! It’s fast, effective, with no need to use cotton face pads or face cloth, and no greasy film. You can use it while taking a shower. Hypoallergenic*. Can be used on sensitive skin around eyes and lips. Suitable for skin prone to irritation and atopic. With delicate scent of fresh raspberries, it turns makeup removing and cleansing into pure pleasure. * Product meets the requirements of the compliance test with atopic skin and very sensitive skin (Skin Compatibility Test) and meets the requirements of the declared qualities of cosmetics with hypoallergenic properties. Moisturises, soothes and clams the skin, leaving it soft and smooth. Deeply moisturises and nourishes the skin. Tightens and increases elasticity. Moisturises and firms the skin, soothing irritations. Regenerates, renews and hydrates the skin. Prevents skin aging. Vitamin of the “youth”. Fights free radicals, nourishes the skin and smoothes wrinkles. Makes life and everyday skin care easier. Massage onto dry skin to increase microcirculation and improve absorption of active ingredients. You will feel your skin relax. Rinse off with warm water making sure your face is clean and… you’re ready! It’s simple. Open, apply and you’re ready! 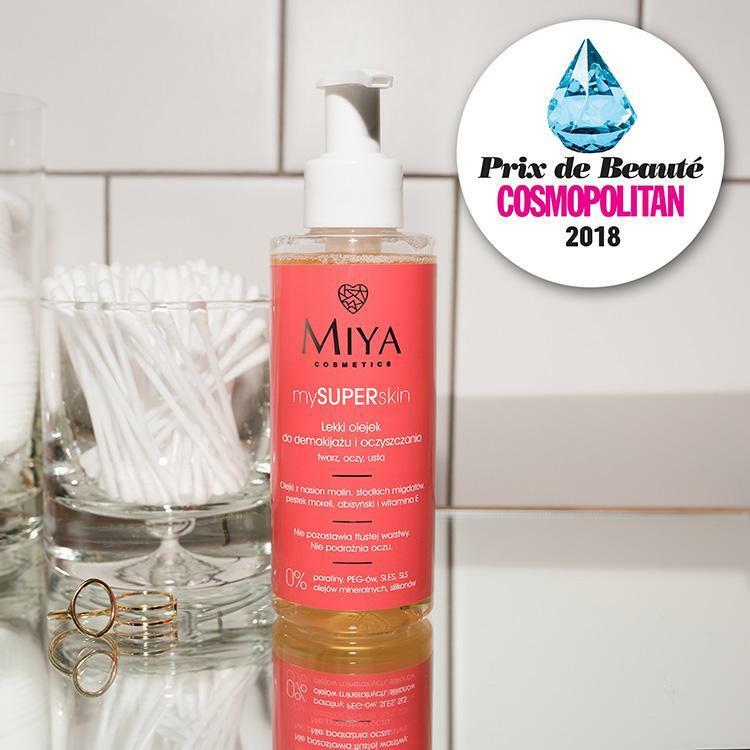 mySUPERskin and all Miya skin care products will adapt to the needs of your skin and your lifestyle. Massage mySUPERskin onto moist skin for express refreshment and energy boost. Apply myWONDERBALM to moisturise and nourish your skin. Foundation, a bit of blush on cheekbones, mascara and… you’re ready! 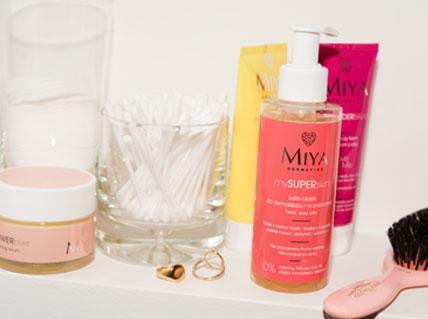 Begin with mySUPERskin to refresh your skin and add radiance. Apply your favourite myWONDERBALM and then myPOWERelixir under the eyes for a more glowing look. Apply it also on the lips and cheekbones. You’re ready! Massage mySUPERskin onto dry skin to cleanse and relax it. Rinse off with warm water. Dry it gently with a towel and apply myPOWERelixir serum. Remember about the skin under your eyes and lips. You’re ready! “We knew one thing right from the start – it had to be SUPER! As SUPER means something different for each of us, we combined all the things we both like best. Abyssinica Seed Oil, Tocopheryl Acetate, Parfum (Fragrance), Limonene.